In a time of 2:06.74 Sanneke de Neeling won the 1500m race. Third time on the second place (3000m, 500m and 1500m) Antoinette de Jong gets the silver medal in 2:07.93 followed by Melissa Wijfje in 2:08.24. 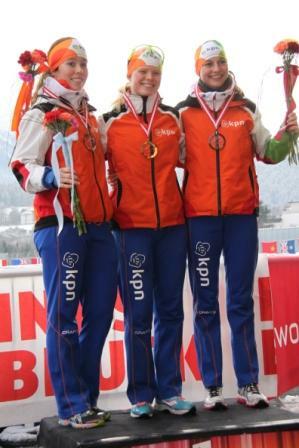 Tripple victory for the Dutch ladies.